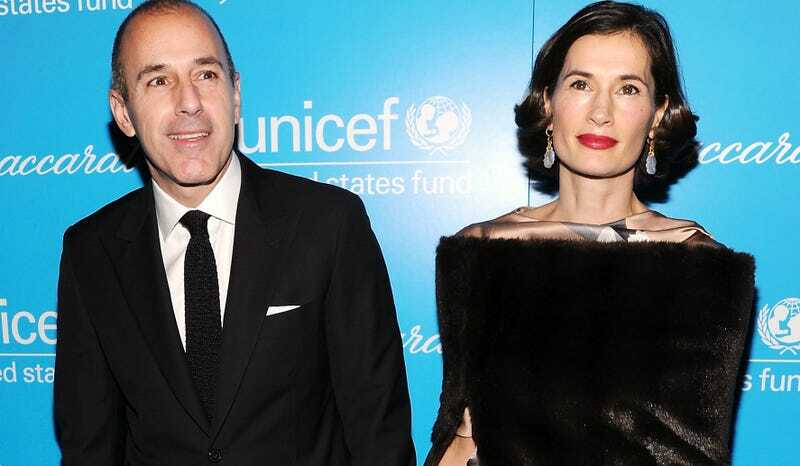 Matt Lauer and his wife Annette Roque are really close to being ex-married, and divorce proceedings have reportedly intensified. A source told Us Weekly that Lauer is “going to be forking out around $50 million in a settlement” and that “Matt is furious he is essentially handing over half of his net worth to Annette.” According to the source, that price tag includes “the horse farm” (good to know there’s only one, otherwise wouldn’t know which horse farm this is referring to), their current home, and a one-time payment of $25 million. In November, Lauer was fired from NBC, where he’d been a top news anchor, over a sexual misconduct allegation. Not long after, it was reported that Roque had initiated divorce proceedings. Meanwhile, I’m just mad these people have so much money! Oh this is just incredibly sweet. Happy Birthday, Billie Lourd!